Database gateways: to connect “natively” to the most common databases used within an enterprise (i.e. SQL server, Oracle, DB2, Pervasive, MySQL, ODBC…). Connectors: to directly connect to JDE, SAP, Dynamics, SalesForce. Connectivity and messaging: through FTP, SOAP, MSMQ, etc. 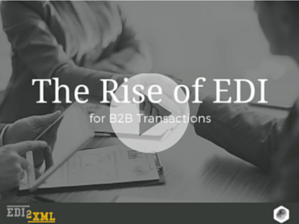 As you might already know by now, EDI2XML is our own technology to convert an X12 EDI transaction to XML. When doing the conversion from EDI to XML, EDI2XML is able to generate the FA 997 (Functional Acknowledgment) as a response to the incoming EDI transaction. In the meantime, EDI2XML installer comes with all the xml schemas (.xsd) of the EDI2XML format. Since Magic xpi is missing a component to transform X12 EDI to XML, EDI2XML can fill this gap. By creating a custom component and inserting the command to trigger EDI2XML from within a Magic xpi business flow, EDI2XML will turn an incoming EDI file (i.e. 850) into XML format. 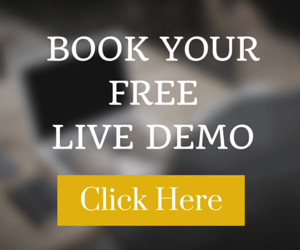 In a subsequent step, using a Data mapper component, the user can map the content of the EDI file in XML and map it to any other format (Flat file, database….). As mentioned previously, Magic xpi comes loaded with connectors to major systems such as SAP, JDE, Salesforce, etc. As an example, any table in JDE can be used as a source or destination in data mapping process, using a Data Mapper step within Magic xpi. Once the source and destination are defined, the user can use his mouse to drag and drop to map fields from the source to the destination (JD table). 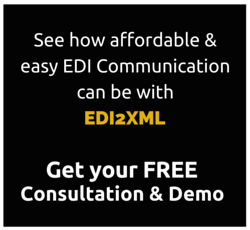 EDI2XML has a rich library of EDI documents to translate and it is expandable. 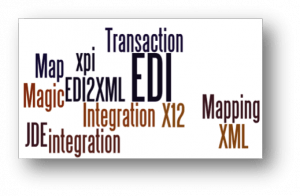 In addition, using EDI2XML within a flow in Magic xpi is a MUST in order to map EDI data to XML and from XML directly to JDE. Most importantly, there is no need for EDI knowledge to interpret the fields and segments, as it is all easily understandable by any person. On top of it all, all .xsd files are provided with the EDI2XML engine! EDI integration into JDE is as simple as mapping from XML to JDE using drag and drop!